"In my work helping partners and leaders grow their firms, their teams and themselves, I’ve seen the difference that high quality coaching and leadership development can make. It never fails to inspire me." Is your business model facing threats from a rapidly evolving market? Are you seeing some big opportunities, but opportunities that can only be realised if your firm changes how it operates? This is where coaching can help you think through how to respond to the changing external environment, how to set new ambitious business objectives, how to transform your business and how to take your partners and the rest of the firm with you on the journey. How can coaching make a difference to me and my firm? We have seen, time and time again, the tangible benefits that business coaching can bring to ambitious firms. It helps the managing partner spend time working on the business, rather than in the business. It brings structure, clarity and challenge to strategic review and development processes. The coach can be a sounding board and help the managing partner consider how to effectively influence partners and other stakeholders. What is the difference between a business advisor and a business coach? A business advisor basically offers you their solutions for how you should run your business or fix an issue you are facing. You can choose whether to follow that advise or not! A business coach believes that you know best how to run your own business and will instead help you find solutions that suits you and your business. The coach will help structure your thinking, challenge your assumptions and bring new perspectives to the process, but will not tell you what you should do. Should I choose leadership training or coaching? What is the difference? This is a question we are often asked, and happy to answer, as they are two different ways for learning: a trainer holds the knowledge which he/she shares with you, whereas a coach believes that you already have the knowledge and ‘just’ need help to draw upon this to find your own solutions. There are overlaps as the trainer may employ coaching to help you apply the new knowledge, and the coach may share models and insights during the coaching to help you see the issue and the solutions from new perspectives. Do all coaches adhere to an industry standard? We are very active in helping raise the standards of coaching and mentoring, and are big advocates for coaches treating this as a professional discipline. It’s important to ask what qualifications the coach has undertaken and whether they are members of a professional body and have signed up to their Code of Ethics. Some coaches do operate without these credentials and are best avoided to ensure you receive the best possible service. All our coaches are professionally qualified. Quiver Management is a member of EMCC and has signed up to their Global Code of Ethics. How do I know which coach is the right one for me? Firstly, make sure that they are well qualified, experienced and members of a professional body. Secondly, ask about their style and approach to coaching – evaluate whether this is what you are looking for. Lastly, evaluate whether you feel you have a good chemistry with the coach. What can I expect from a coaching session? You can expect to get help to structure your strategic thinking, so you get a well thought through strategic plan for your firm. You can expect to be challenged on your thinking and on the delivery against the strategic plans. We can also expect learn a lot about yourself, gain new perspectives and ideas and to leave energised and empowered to take positive action. But it will also be challenging and don’t be surprised if you are exhausted at the end of the sessions. This is normal but shows that the process is working! This can vary widely depending on which areas you are looking to be coached on. However, as a guide: It will most likely be at least 3 sessions and not more than 12. 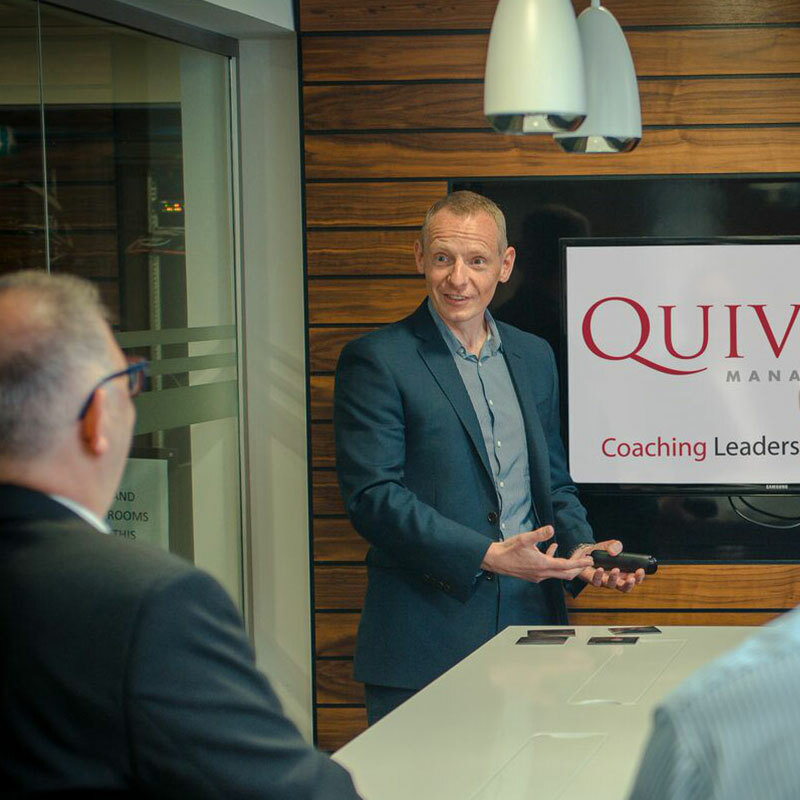 Our standard executive coaching engagements are 6 two-hour sessions over 6 months, with the options to finish earlier if the goals are achieved quickly or to extend for another 6 months. We actively discourage a coaching arrangement to go beyond 12 months. Can you teach my senior leaders to become great coaches themselves? Yes, this is a speciality of ours. We are big believers in spreading the benefits of coaching into organisations. Our Certificate in Coaching and Mentoring for Leaders, which is a European Quality Awarded coaching qualification, is very popular. The qualification is very practical and can be completed in just 2 months. We also run 1-day and 2-day coaching training courses for managers. We provide leadership coaching services to managing partners, senior managers and leadership teams in professional services practises, including law firms, accountancies, financial advisers and consultancies. As a trainer and coaching supervisor, Jan combined in-depth knowledge of the topic with first-class feedback and facilitation skills. At all times during the course he modelled the appropriate behaviours, with his experience adding considerable value to the course content. As a supervisor he was unfailingly accessible, encouraging, and insightful. I learned a great deal from working with Jan and also very much enjoyed doing so. Working with Jan is a real pleasure. His enthusiasm and knowledge really rub off on people and keep them motivated. Focused on success, Jan delivers good results and I would recommend him without question. With Jane Bromley’s help, I was able to recognize where I could improve myself and found balance in my work and home life. Thanks to Jane, a very difficult decision on my career and Business Growth in Intagroup Limited, became the easiest transition I have ever had in my career. My only regret is, I wish I had found Jane earlier in my career. © Quiver Management Ltd 2019. All Rights Reserved.